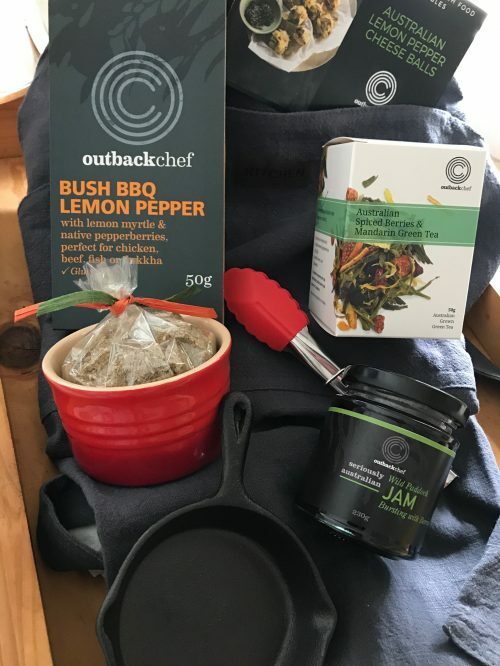 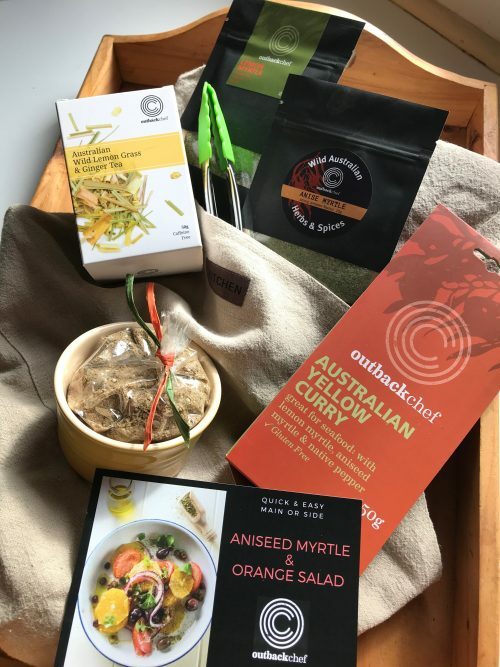 East meets Oz with two of OutbackChef’s fantastic Australian curries featuring some of the most popular bush herbs; lemon myrtle, anise myrtle, natives peppers, combined with exotics spices from the middle east to create a curry like never before….recipe inside each curry pack. 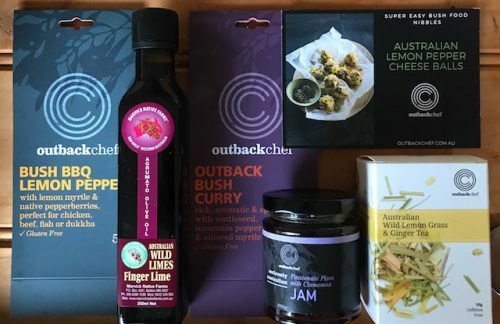 Plus a Wild Lime Olive oil from Western Australia, both the olives and the Wild Limes are grown on neighbouring properties, warmed by the hot sun of the West to create a dressing that makes your salad really sing. 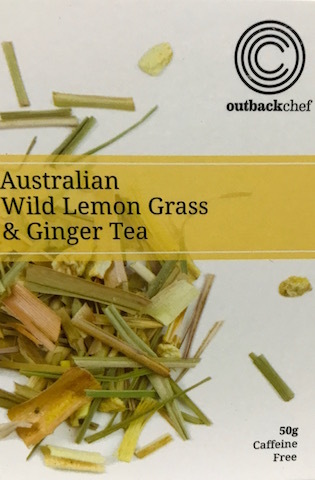 Recipe card to create one of my favourite salads, the perfect salad for guests or just for you to enjoy, combined with the recipe card is a pack of Aniseed myrtle, an Australian herb with a wonderful Aniseed flavour, perfect for this salad. 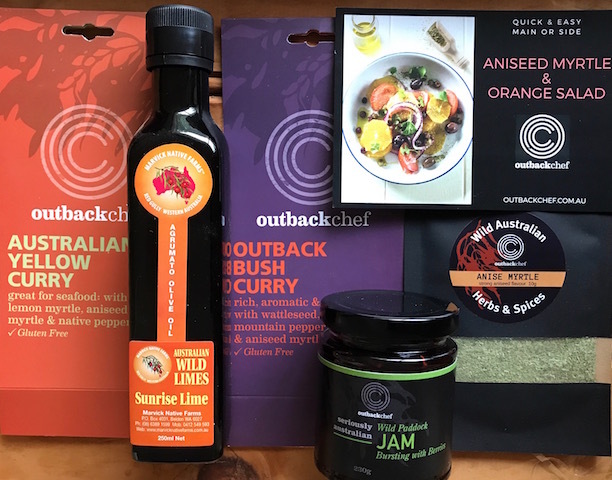 Wild Paddock Jam, a combo of berries found at the end of the paddock, where all good berries grow and develop the best flavours, great for toast in the morning or add some to yoghurt for a delicious Australian Grown berry flavour!